Take your styling to the next level in this standout sandal! 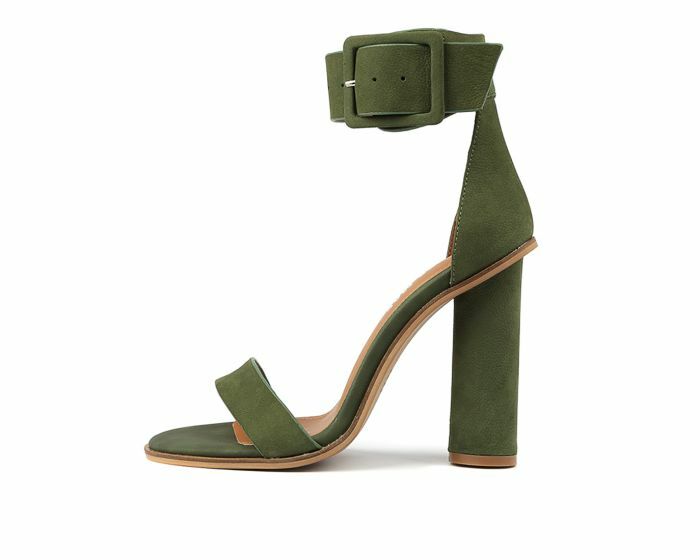 A fashion-forward design with an oversized buckle detail at the ankle and a rounded block heel, this shoe channels on-trend sassiness with every step. Make heads turn wherever you go, in this piece paired with thigh-skimming hemlines!